Additional charges have been filed on Daren Lee Gibson, 48, of Sulphur Springs. Added to the Burglary of a Building are three Manufacture and Delivery of a Controlled Substance Penalty Group 1 more than 1-gram but less than 4-grams. One of the charges includes in a Drug Free Zone. 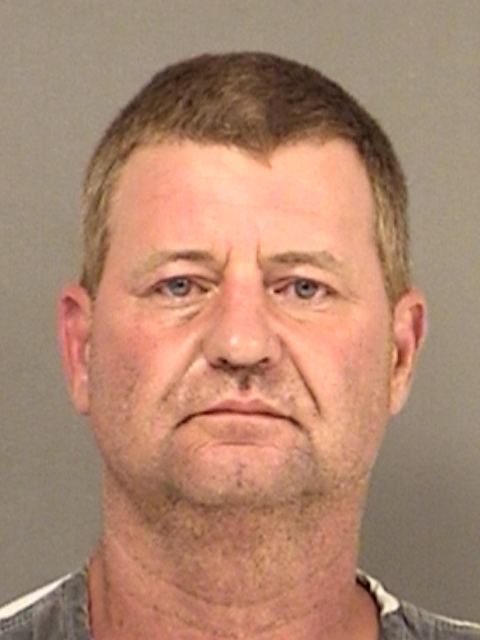 Hopkins County Sheriff’s Investigators and deputies served a search warrant for Burglary of a Building but found more than just items taken in the burglary that occurred on Highway 11W. The result of the search led to the arrested of Gibson. Having obtained a search warrant for items taken in the property, Hopkins County Investigators and Deputies searched the Gibson residence off Bill Bradford Road in Sulphur Springs. At the residence, investigators found items taken in the burglary along with a quantity of narcotics including heroin, over 2-grams of suspected methamphetamine, and numerous items of drug paraphernalia. An arrest warrant was obtained for Gibson, who is now in Hopkins county jail. Hydraulic hoses and other items taken in the burglary were located at the residence. One item of paraphernalia found was a bolt that had been hollowed out and a screw in top attached. Gibson was arrested on July 8, 2017 for two charges of possession of a controlled substance and bond was set at $30,000. He posted bond the following day. In May of this year and in February, 2016, he had been arrested on drug charges as well. Other arrests for burglary of a building and possession of narcotics were posted to his record in 2012.